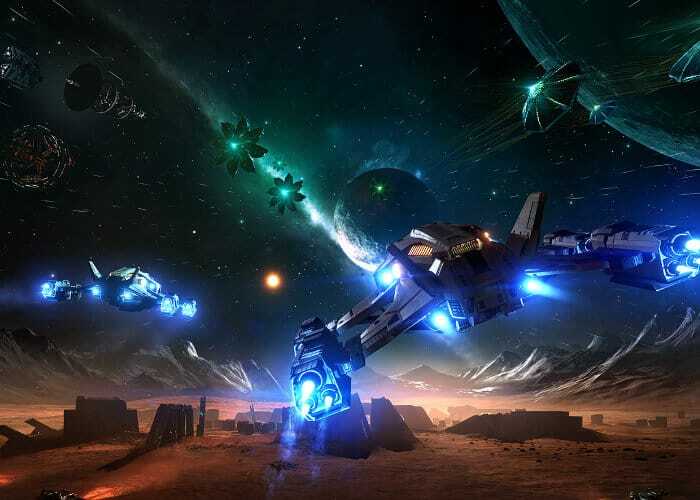 Virtual reality gamers and space explorers patiently waiting for the fourth and final chapter of the ongoing Elite Dangerous Beyond content to be released will be pleased to know that the game developers Frontier Developments will be bringing the final chapter of Elite Dangerous Beyond two virtual reality platforms in its beta format this month. Check out the Chapter 4 announcement trailer below to refresh yourselves on what you can expect from the latest content. Elite Dangerous Beyond Chapter FourWill be available to play on PC, PlayStation 4 and Xbox One very soon and the beta release will be available to all PC Elite Dangerous and Elite Dangerous Horizons players in a few weeks time on Tuesday 30th October 2018. “A new Analysis Mode, with the improved Exploration Discovery Scanner and Detailed Discovery Scanner, is a game-changing, brand new way for all Commanders to explore the galaxy. After an initial scan of the system, players will then be able to tune their scanners to find stellar bodies and other phenomena. Unidentified Signal Sources and conflict zones will also appear, allowing players to easily track down interesting or important things within the system. Not only is this new system a more realistic, satisfying and engaging exploration experience, but also provides players with the freedom to make more informed decisions on where to look next, and be ultimately better rewarded for time spent exploring. Commanders will now have probes that can be arced onto planetary surfaces, and planetary rings, to map them in detail, locate points of interest and leave their mark on the galaxy in a new way. There’s a number of additional improvements coming to Elite Dangerous, including visual improvements, background simulation updates, and (yet to be revealed) new ships and cockpit interface changes”.